If you would like to be notified when the Chauvet FXpar 3 becomes available please enter your email address here. The new FXpar 3 is a compact effect par with multiple technologies in a single fixture. It includes three 8W Quad-color (RGB+UV) center LEDs, RGB SMD LED lights and SMD strobes. Separate control of these features makes creating breathtaking effects easy. FXpar 3 is compatible with IRC-6 for flexible control over all features and includes powerful sound-activated and automated programs. 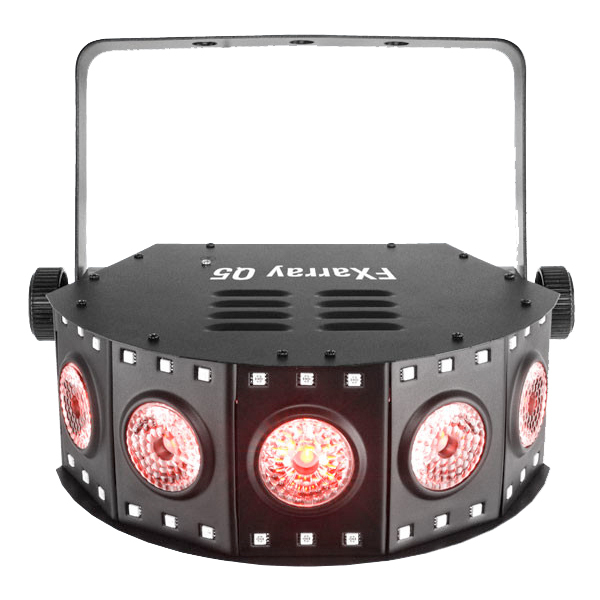 Considering purchasing the Chauvet FXpar 3? Have questions? Ask people who've recently bought one. Do you own the Chauvet FXpar 3? Why not write a review based on your experience with it. These are really good for the money (£55 each in the DJkit sale). Very bright main LEDs and the additional SMDs and strobes create fantastic effects. Easy to control via 9 DMX channels,. Very impressed and great service from DJKit and DPD. 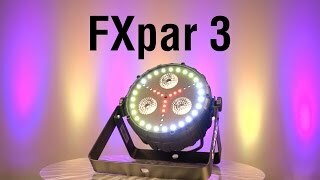 Seen a video for Chauvet FXpar 3 online or have you own video? 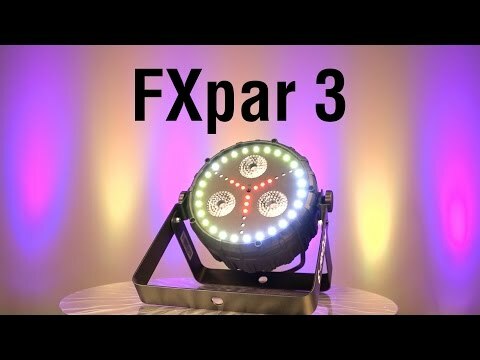 Check out Chauvet FXpar 3 on DJkit.com!